The French bank’s penalty for alleged sanctions violations could reportedly entail short-term curbs on its U.S. business, with unpredictable consequences. If a bigger upfront fine offers the chance to avoid that outcome, BNP should go for it – even if dividends suffer. 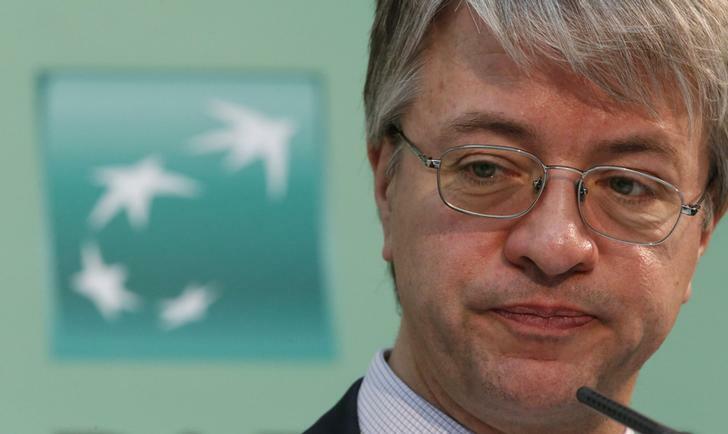 Shares in BNP Paribas fell as much as 3 percent on May 21 following reports by Bloomberg that the French bank may face a fine of as much as $5 billion, as well as a temporary ban on transferring dollars cross-border for its alleged role in violating U.S. sanctions. BNP declined to comment. BNP’s shares on May 21 closed down 1.3 percent at 51 euros. The bank’s shares have fallen 12 percent in the last two months.